price: Tickets available online or simply pay on the door. Winner of the BBC Scottish Young Jazz Musician of the Year at only 17, and Berklee College of Music’s prestigious Billboard Award, pianist/composer Alan Benzie is one of the UK’s most exciting talents. He is joined by friends and long time collaborators Andrew Robb on bass (BBC Scottish Young Jazz Musician of the Year 2009; Bass Europe Competition Winner 2018) and Marton Juhasz on drums (Foundation for Hungarian Percussion Culture Award 2010; “Drummer of the Year” 2014 and 2015, JazzMa reader’s poll). 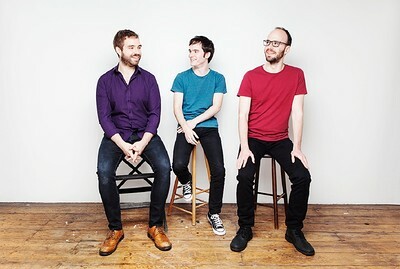 Their debut album “Traveller’s Tales” and more recent release “Little Mysteries” both garnered glowing reviews, with “Little Mysteries” also winning Best Album in the 2018 Scottish Jazz Awards. They have been delighting audiences throughout the UK and Europe over the last few years, including at London International Jazz Festival and United Europe Jazz Festival, as well as being the featured artists on BBC Radio 3’s “Jazz Line-Up”, Austrian National Radio and BBC Scotland’s “The Jazz House” and “Jazz Nights”. The music is rooted in European and American jazz, but is influenced by impressionist piano music and film music, and Benzie’s love of Japanese animation gives a visual, storytelling quality. From sensitive, magical textures to virtuosic explosions of energy, the trio are both sophisticated and accessible, with the warmth, empathy and interplay that can only be achieved through great friendship and years of making music together.